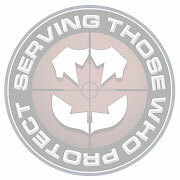 Thin Grey/Silver Line PVC CORRECTIONS Patch - 3" x 1.5"
911gear.ca introduces the Thin Silver / Grey Line Corrections Patch. Patch measures 3" x 1.5", is made of PVC for durability and has a hard velcro backing for attachment to Duty gear, duty bags, body armor, tactical vests, uniforms, jackets or any items with a soft velcro area. The Thin Gray Line honours all those who serve in Federal. Provincial and Municipal Correctional institutions, including Corrections Officers, Probation Officers, Parole Officers, Bailiffs, and Jailers. You're reviewing:Thin Grey/Silver Line PVC CORRECTIONS Patch - 3" x 1.5"